Shout out to K-Zoner Zane who asked us to feature more La Liga! 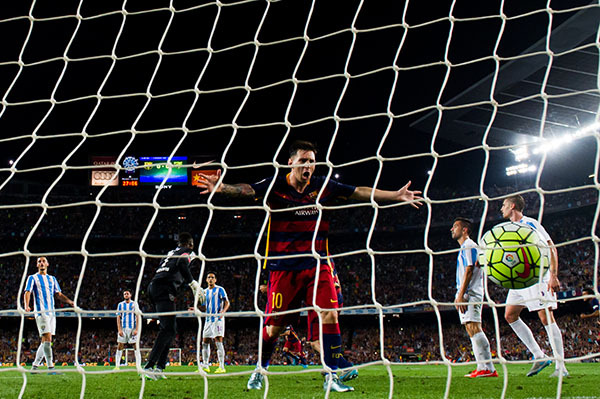 August 29: The legendary Lionel Messi of FC Barcelona celebrates after his teammate Thomas Vermaelen scored the opening goal against Malaga CF. October 4: In the corner! 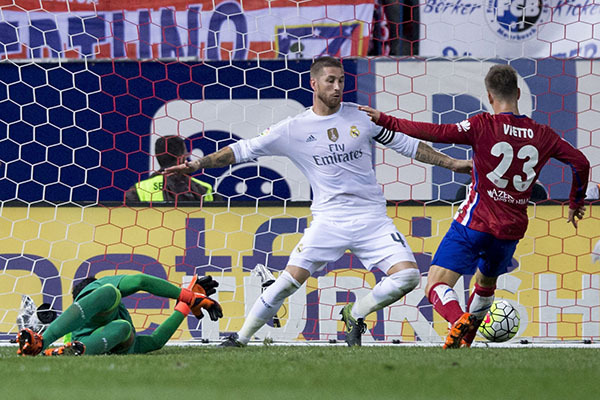 Luciano Dario Vietto (right) of Atletico de Madrid scores against Real Madrid CF. October 4: This is so epic. Karim Benzema of Real Madrid scores against Club Atletico de Madrid. He makes it look way too easy! 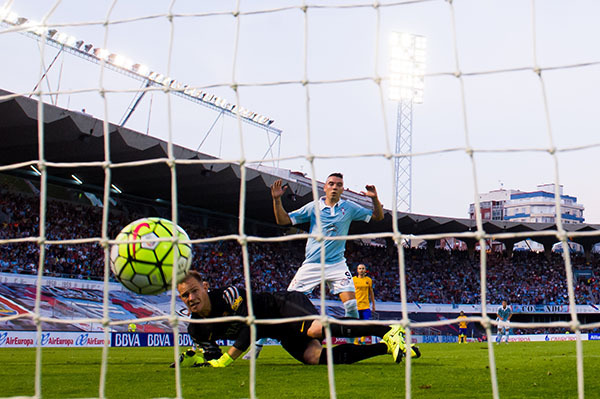 September 23: Marc-Andre Ter Stegen of FC Barcelona looks on as Celta Vigo scores. Check out Iago Aspas celebrating! March 16: It was super unlucky for goalkeeper Vicente Guaita of Getafe CF, who failed to save this awesome goal by Inigo Martinez of Real Sociedad de Futbol. More of an English Premier League fan? Check out some rad EPL goals in our gallery! Who would you want as a sibling?